It all started with this picture. I see it everyday when I pass by the china cabinet where the urn of my mom resides. It’s literal stuck in the seam of the outside glass pane. How independent for a 20-something born and raised in what was then a rural town in the Philippines (Sta Rosa, Laguna) to set off for Europe with some girlfriends in the mid-60s. I don’t think I ever had that drive even in my late 30’s when I was at least financial secure to pursue something adventurous like that. As I admire pictures of my mom through the years, I realize that they have so many stories to tell. Although she is no longer here to share them, I recently have found inspiration in all these imagery from how she carried herself, her fashionable style to the simple expression on her face. 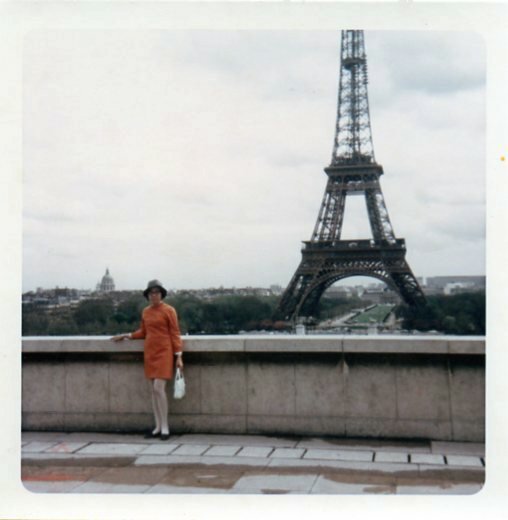 I’m looking forward to honoring my mom with this blog and sharing how much she is still a part of my life.